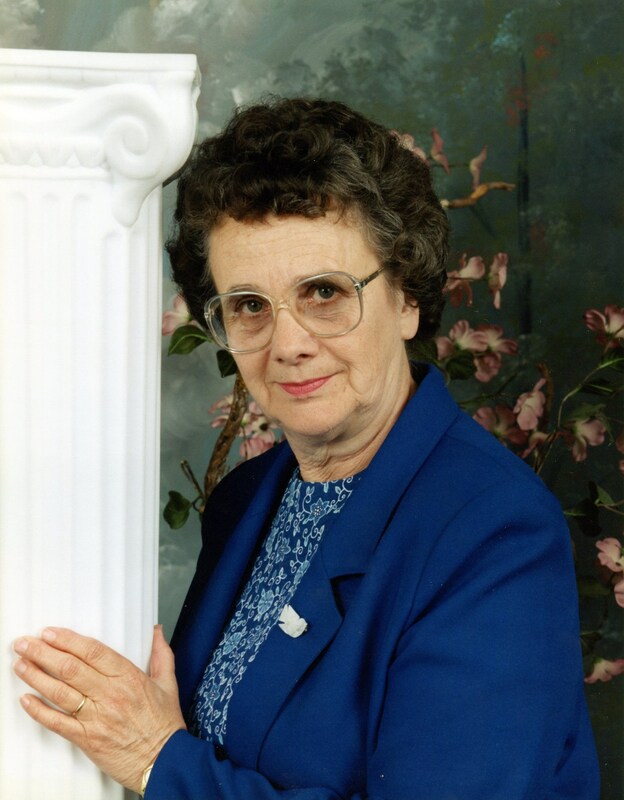 Mary Lousie Dugger Jackson, 82, Johnson City, went to her heavenly home on Sunday, May 29, 2016, at her home. She was born at home in Old Butler, Johnson County, TN on May 5, 1934 to the late Daniel Boone Dugger and Dessie Mae McKinnis. She attended her first seven and one half years of elementary school at Butler Elementary School. When the town of Butler was relocated due to construction of Watauga Dam, she completed her elementary school at Cobb?s Creek Elementary School. She graduated valedictorian in 1952 from Johnson County High School. She attended East Tennessee College for one year taking a business course. She worked at the Music Mart in downtown Johnson City for three years, quitting when her first child was born. She was a stay at home mom until she returned to work in 1985 at Parks-Belk in the alterations department. She retired in 1994. She was a member of North Johnson City Baptist Church and taught Sunday school there for 25 years. She loved to garden, crochet, and was an excellent seamstress. In addition to her parents, she was preceded in death by: her husband of 48 years and the love of her life, Randolph Jackson. Survivors include: one daughter, Barbara Timbs and her husband Rick, of Jonesborough; two sons, Daniel Jackson, of the home, and David Jackson and his wife Kerry, of Johnson City; two granddaughters, Tammy Bouton and her husband Mitchell, of Athens, AL, and Monica Phillips and her husband Brian, of Campbellsville, KY; two great granddaughters, Trinity Bouton and Alyra Phillips; one sister, Jacqueline Taylor, of Elizabethton; one brother, Delmas Dugger and his wife Wanda, of Johnson City; two sisters-in-law, Jean Jackson and Judy Howell and her husband Steve, of Johnson City; two brothers-in-law, Bill Hankal, of Jonesborough, and Garey Jackson and his wife Louella, of Johnson City; 18 nieces and nephews; and 37 great nieces and nephews. The family would like to offer special thanks to all of her family and friends for their love and friendship through the years. The family of Mary Louise Jackson will receive friends from 5:00 PM until 7:00 PM Wednesday, June 1, 2016 at Morris-Baker. The funeral service will follow at 7:00 PM with Rev. Rick Powell and Rev. David Jackson officiating. Pallbearers will be: Jeff Jackson, Matt Howell, Joe Jackson, Sam Jackson, Bill Taylor, Rocky Jackson, Cole Price, and Dale Williams. Honorary pallbearers include: Jake Williams, Mitchell Bouton, and Brian Phillips. Family and friends are asked to meet at the funeral home by 10:30 AM Thursday to go in procession to Roselawn Memory Gardens. In lieu of flowers, memorial donations may be made to The Gideons, 609 E. Elk Ave., Elizabethton, TN, or the charity of your choice. Sorry for your loss. Our prayers and love are with you. I am so sorry for the loss of your Mother, she was a very special person and I so enjoyed waiting on her at the credit union. We found out threw conversation that we were related. I pray that the Lord comforts your family. My prayers and thought are with you all. We are so sorry for your loss, but rejoice in Heavens gain. Our prayer’s and thoughts go out to you. Precious Memories, hang on to them. Pass them on to the next generation to carry on the family story. I’m Louise’s cousin by marriage (my mother Edith Carder and Martha Jackson were sisters). I am so sorry that we could not be there for the services. We are on vacation with our children and grandchildren. Our condolences go out to the family.